SUMMARY: Even after the establishment of the National Do Not Call Registry, marketers are finding business success through the phone. Instead of reaching out, some are pulling more calls in. See the tactics a customer acquisition firm uses to drive high-quality telephone leads and sales through online advertising, and why this team focuses almost entirely on driving inbound calls. Getting more customers to pick up the phone might seem old-fashioned when compared to driving online sales, but inbound calls can have tremendous value. Customers who are willing to call your company are often highly engaged. "While most of the media industry still wants to drive leads in the online space because they're easy to track, they don't convert nearly as well as getting a customer on the phone and talking to them 'right now,' on their schedule," says Scott Hamer, Marketing Director, Red Ventures. Red Ventures specializes in generating, converting and tracking leads for major consumer brands. Driving inbound calls through online ads is central to its business model, Hamer says. In one month, the team can use 250,000 different toll-free numbers for its marketing -- each of them unique and traceable to a specific ad. Using online marketing to drive inbound calls is a unique challenge. We sat down with Hamer, who has years of high-volume experience in this area, to understand its unique challenges and the tactics you can use to overcome them. Hamer's team mostly encourages consumers to pick up the phone through text ads, often in search engines and online telephone directories such as Superpages.com. The team also advertises via email, voice telephone directories and display advertising, but text ads are its largest focus, Hamer says. Online telephone directory websites are a good place to find consumers who are motivated to call. Red Ventures' search marketing team targets keywords on these directory sites and tests ads to improve conversions. Below are some tips for creating good text ads to drive calls, which the team also uses when testing in other channels. The ads' call-to-action should not be "click here to learn more." The ad should provide a phone number and tell consumers to call it. When clicked, ads should lead to a landing page which also emphasizes the call. "Make a very distinct call to action," Hamer says. "It doesn't have to be the best copywriting ever; 'call now to save 50%.'" Hamer's team has more success emphasizing percentage discounts than dollar-off discounts, he says. This might be related to a product's price -- so be sure to test. "If you say 'save $600,' you're probably going to get sticker shock, versus saying 'save 50%' to make it more palatable," he says. So when you're marketing -- do not be shy about mentioning your brand name, especially if it is well known. Web surfers need assurance that they're dealing with reputable companies. A notoriously difficult part of driving telephone calls from online advertising is the analytics gap. As soon as person picks up the phone, all online tracking ceases. Hamer's team is able to draw connections between online ads and inbound calls through a thorough call-tracking system. "We use a unique phone number for every single ad that we put out there," he says. "Every email that we send gets a different phone number...It's not reused for six months...We know the source of the email, the intent, the day, the message, the subject line, the from line, everything about that." Tabulating the number of calls driven by each ad and incorporating it into the team's analytics and reporting system is the only way to optimize performance by conversion. The team tracks all the way to conversion, not just up to the phone call. It even tracks whether a customer continued using the service or returned the product, and incorporates the data into the optimization and budget process. This focuses investment in ads that attract the best calls. Using metrics to track the entire purchase funnel requires a sophisticated reporting system and an internal devotion to accurate reporting. Red Ventures' team takes this so seriously that Hamer considers it more of an analytics company than a marketing company, he says. To allocate your budget wisely and optimize performance, your team needs to understand which online efforts are driving the highest volume of high-quality leads. Stopping development of an analytics platform anywhere short of that goal will hurt your performance. "Too many people stop too early in the process. They just look at 'here's how many phone calls we got from this source," Hamer says. Lately, Hamer has seen call-driving marketing become more competitive. More companies are bidding on keywords in online phone directories and buying media in other popular channels. Bids are increasing, and inventory is becoming more expensive. None of these challenges should be new to paid search marketers. Competition in the major engines has been rife for years now. A one-size-fits-all approach is not the best way to optimize conversions in your call center. For example, calls driven by an email ad might have a promotion tied to them, while calls from a text-ad might emphasize quality. Your call center should immediately understand what a caller is seeing and what drove them to make a call. 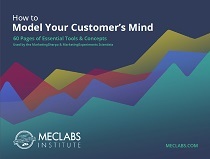 Your call staff will be able to drive more conversions by understanding the callers' mindsets. "We custom write our script for every program," Hamer says. "If it's paid search, they'll have one script. If it's email, they'll have another." Call center staff are able to see the ad that drove the call, the previous experiences the company has had with the type of customer, questions the customers often ask, a profile for how they should be serviced, and more. "Our operations team is constantly updating these and making changes every month, running A/B testing. It's a neverending game," Hamer says. Red Ventures works with partner companies to help drive calls. Hamer says a big part of keeping both his team and its partners successful is sharing performance data so everyone can see the tactics and channels that work best. "We've found that, particularly in our industry, a lot of people are very protective of their data. Everything's proprietary and they don't want to share conversion numbers," Hamer says. "We don't work that way. And we've found we're much more effective if we're telling you 'here's how we're converting, and here's what's working, and here's what's not.'" Every week Hamer's team provides partners data on the calls that came in, their length, the callers' disposition, agent notes, conversion data and more. Partners can then use this to target high-performance channels with proven tactics. This is a win-win for Hamer's team. MarketingExperiments Blog: PPC Innovation: How will Google’s new lead capture extension affect your pay-per-click campaigns?